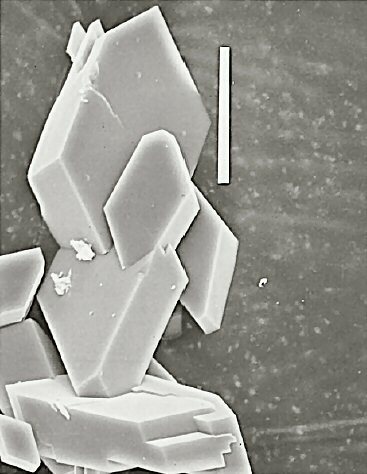 Comments: Scanning electron micrograph showing the typical morphology of bamfordite crystals. (AmMin, 83:173). Location: Abandoned W-Mo-Bi mines at Bamford, Queensland, Australia. Scale: Scale Bar 20 µm.